Derwent Procolour Pencils is the perfect combination of a strong point and smooth lay down, with a texture that has the covering power of wax but glides like oil. The richly pigmented pencils maintain a sharp point for detailed drawing while minimum chipping and dusting keeps your work clean and smudge-free. 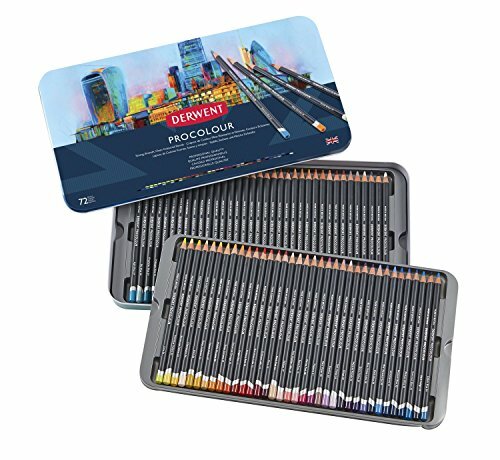 Suitable for a wide range of drawing techniques, the 72 rich and vibrant colors comes in a beautiful Metal Tin.